I left out a few details last time about my past with the Veiled Blade, and everything that’s been going on recently. I said before that when we killed Lord Valthalak, we took his spellbook along with the pieces of an amulet that ended up bringing the spectral assassins down on us. But there was one more part of the spoils: a demon relic called the Nether Prism, a crystal that could be used, among other things, to focus fel energies and dominate the will of demons. I was a warlock back in those days, and I arranged to have the prism included as part of our deal with Malkorok. I wanted to see how much the Prism could be used to augment my powers. I thought I could handle it. I thought wrong. The Prism magnified the power of my spells for sure, and for brief windows of time I could use it to control powerful demons. At least more powerful than the dime-a-dozen ones that your garden variety warlocks can summon. In more powerful hands than mine, I suppose it could have been used on even greater ones. But if there’s one thing I learned, it was that I was nowhere near warlock enough to master the energies that flowed through that crystal and keep them under control. It became pretty clear to me that I couldn’t afford to keep toying around with the Prism. The problem was, though, that it wasn’t going to be as simple as sticking it in the back of the sock drawer and forgetting about it. The Nether Prism radiated fel energies. Demons were drawn to it. And using its magic to deal with the demons when they turned up would just make it radiate more. As if life wasn’t already too complicated, it was at this point that I learned Valthalak’s spectral assassins were making short work of the rest of the Veiled Blade. I couldn’t keep taking my chances running around from place to place alone. So I turned to Thrall. 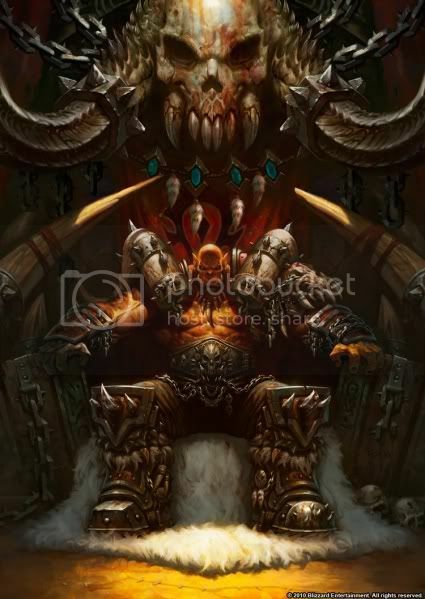 He offered me sanctuary in Orgrimmar; all he asked was that I be on hand to aid the Warchief when needed. I only ever told him the barest details about my past. I never said a word about the Nether Prism. 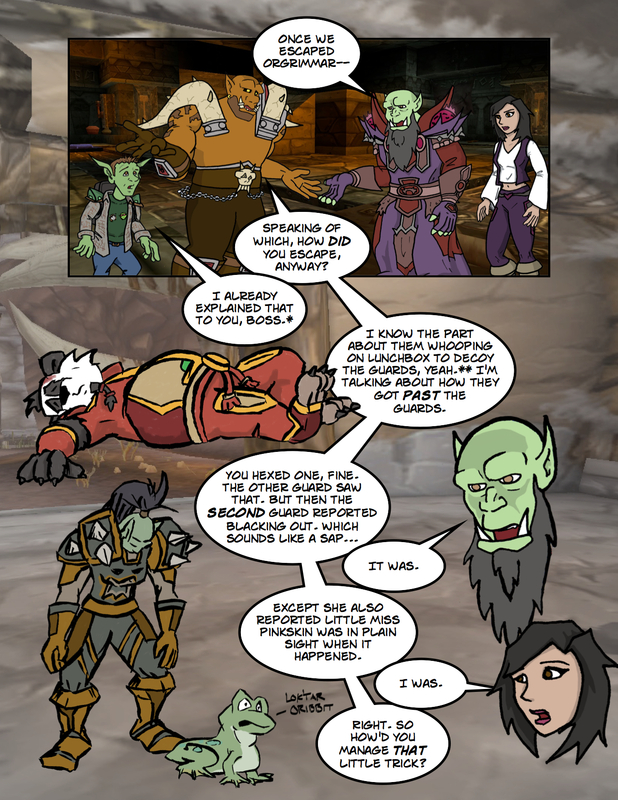 Thrall was only barely willing to tolerate the presence of warlocks in Orgrimmar at all, given the orcs’ history; I couldn’t imagine he would have been willing to take me in if he’d known the whole story. It’s hardly a coincidence that that was when I abandoned demonology altogether and took up shamanism. I wasn’t about the bring dishonor upon the man who’d given me a safe haven, or overstay my welcome. So, the Nether Prism had to go. In the last days before I moved to Orgrimmar, I traveled to Darkwhisper Gorge in Winterspring. Hidden away in a cave there was an imp named Vi’el, a collector of relics and exotic items. I passed the Prism off onto him and hoped he wouldn’t realize what he had on his hands. I know looking back that it probably wasn’t the wisest move in the world, but at that point I just wanted the blasted thing off my hands. So I left it with Vi’el, and went on to Orgrimmar to begin my new life. And started working out ways to deal with the spectral assassins before they came knocking on my door. For a while, it worked. I thought that chapter was done. But as often ends up being the case around here, life still had one more surprise epilogue waiting. As soon as the spectral assassins attacked me in the Drag, I knew what they were and where they were from. Even with Ji fighting by my side, they were able to wear me down fairly quickly; Ji kept fending them off as best he could while I watched for an opening to pop back up. That was the point when we had one more surprise guest, this time a face from the past that was actually welcome: Deliana. She’d stealthed her way into Orgrimmar to come looking for me, and after she helped Ji and I fight off the assassins, she snuck back with us to my house to compare notes. The notes weren’t good. Something had stirred Valthalak’s spirit; I remember when he’d been laid to rest the first last time, the adventurers I’d sent mentioned him saying something about things being settled “for now,” but I didn’t really give it much thought at the time. Now, though, he was awake again and sending out his assassins. Only this time, it wasn’t over the amulet; it was over the Nether Prism. From Deliana’s perspective, this all started with Theldren turned up in Ironforge, seeking protection from Moira Thaurissan. Something had brought the last scattered remains of Nefarian’s old minions out of hiding and sent them scrambling after anything demon-related they could find. Deliana overheard Theldren repeating that “something’s coming,” whatever that means. We don’t know most of the why’s and wherefores; all we do know is that whatever’s behind it has stirred Valthalak enough to make him want his old trinket back. 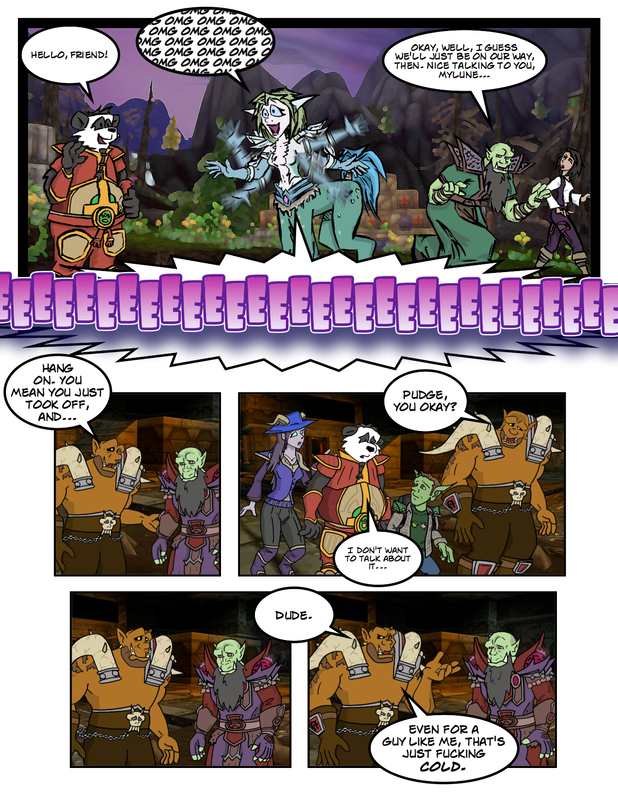 I wasn’t going to go to Garrosh with any of this. I didn’t think he would have received the last bit about my past with the demons well in the best of circumstances, much less now that we’d been through that ordeal with the Burning Legion in the other timeline. Not to mention the minor detail that I was fraternizing with a human in Deliana. We decided that we had to keep her involvement in all of this a secret; Ji, being maybe the one person who was truly neutral to all of this, came into our confidence. 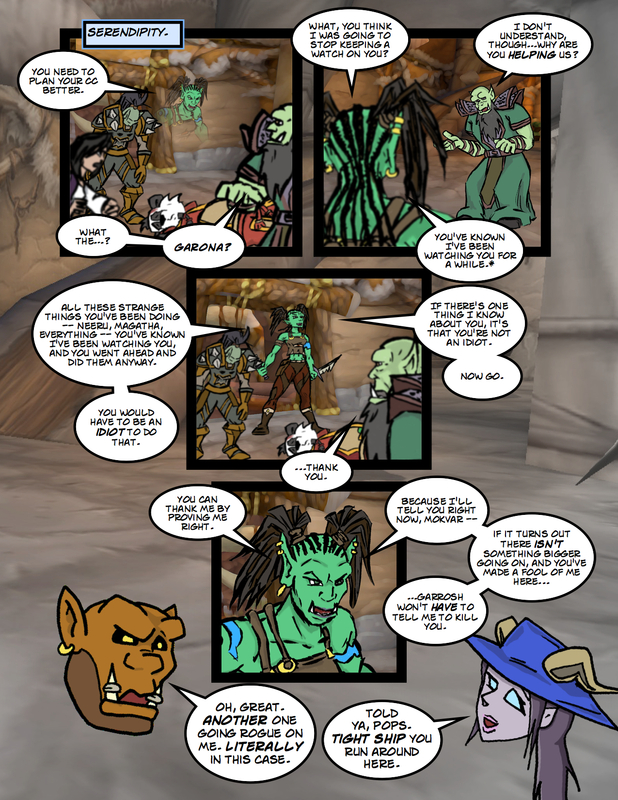 It became pretty clear pretty quickly that it wasn’t going to be possible for Deliana to stay hidden in Orgrimmar, especially after Garrosh stepped up security for me after the attack. (At least he meant well.) Deliana even had a run-in with Malkorok at one point when he was coming to talk to me and happened to catch her sneaking her way to my house. She was only able to get away because Ji happened along and was able to blindside Malkorok with a Quaking Palm that stunned him. We got Deliana out of Orgrimmar and she went into hiding in Azshara, with Ji stepping up to ferry messages back and forth between us. Which brings us to Winterspring. 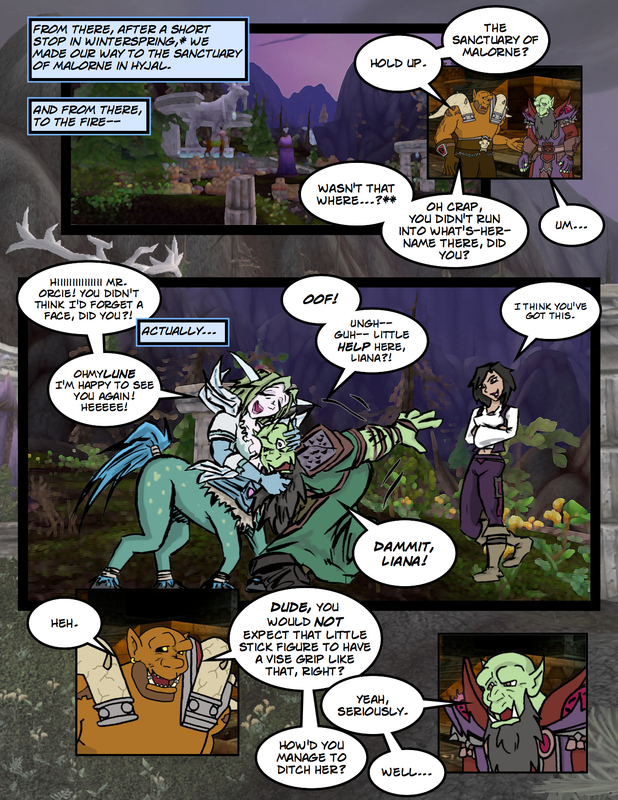 The trip to Timbermaw Hold was basically just a cover for us to meet up with Deliana in Everlook, and from there…Darkwhisper Gorge, to find Vi’el. After the Cataclysm, most of the demons had abandoned the gorge for the underground caves, and the Twilight’s Hammer had moved in. Now the cultists were gone and the demons were back in force – and gone crazy, fighting among themselves. Even back in the day, there weren’t this many of them. We could barely turn around without being jumped by another felguard or pack of felhounds. We found Vi’el at his cave – dead. The cave had been ransacked; half of the belongings that remained had been burned, singed with green flames. We turned the place upside down, but it became apparent fairly quickly that there wasn’t anything to be found. I’m not sure where we go from here. The spectral assassins are still coming, Krog already having intercepted one just the other day. Vi’el was the only lead we had back to the Nether Prism, which I have to figure is our only means of getting the situation under control. Short of dying. Again. Deliana has gone back into hiding in Azshara while we come up with a new plan. I think I might have one more possible stone to turn over, but it may reach the point – in fact, I suspect it will soon – when I need to give up the secrecy and bring all this to Garrosh. Hopefully he’ll understand. I should maybe go see about making some lemon squares.